(AP) — Honolulu high-rise condominium owners won’t get more time to comply with stricter fire safety rules enacted after an apartment fire in 2017 killed four people. The City Council failed this week to get enough votes to override Mayor Kirk Caldewell’s veto of a bill that would have given high-rise building condo owners without fire sprinklers in their units an extra two years to comply. 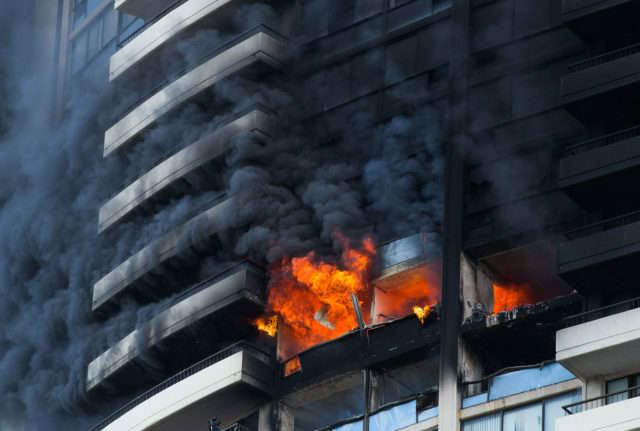 A law requiring high-rise buildings to perform and comply with fire safety evaluations was enacted earlier this year. The Marco Polo condominium building fire killed four people in in July 2017. It was prompted by the fire that raged through the 35-story Marco Polo building in July 2017, killing four people. The building was not equipped with sprinklers. It was built in 1971, before the city required condo projects to have a sprinkler system. The law signed in May requires all buildings of 10 stories or more to conduct fire safety evaluations within three years and take steps to follow the evaluations within six years. The council unanimously passed a bill last month to push back the evaluation and implementation deadline. Caldwell said last week that extending the timeline would put people at risk, especially senior citizens living on fixed incomes in buildings without sprinkler systems. Before the council vote this week, Honolulu Fire Chief Manuel Neves asked the council members to let the veto stand. He said the Marco Polo fire was one of the worst days of his life. He sent 120 firefighters into the blaze.